We've always been fans of musicals in our home. The music always seems to enchant the kids and then they spend the days following constantly singing the songs. Yes, my boys know every word to every song from Frozen and we are not afraid to sing them anywhere and everywhere! 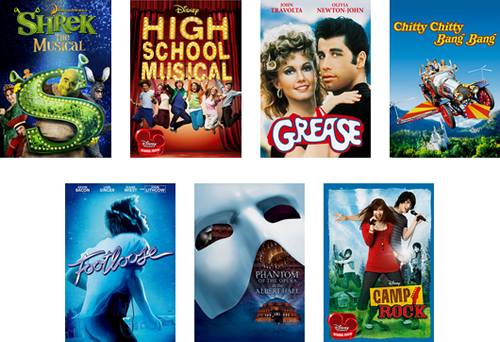 Lucky for us, Netflix has musicals for every age group that your family can enjoy. I think when many of us think of classic musical movies we immediately think of Grease. I mean, is there anyone who hasn't enjoyed watching this movie at some point in their life? (If you say no, I won't believe you). Now growing up in the suburbs of New York City, I was fortunate to see several musicals on Broadway over the years. My favorite of all time is Phantom of the Opera. I saw it twice and I would continue to see it over and over again without ever getting tired of it. The music is just amazing. So when I saw that it was on Netflix I might have squealed a tiny bit. I like to watch it lase at night when it is nice and quiet in the house. There are also plenty of other musicals for the adults and older kids to choose from. Now my boys happen to be huge fans of Disney animated musicals. Honestly, I don't think we have found one that we didn't like. This week we had an extra day off from school due to an intense thunderstorm that knocked down power lines all over town. Once we got our power back after 17 hours, we totally needed something good on Netflix to chill after the stress of it all. They decided to go with Mulan which is one we all enjoy. We all love the humor and the catchy songs and I personally love the strong female lead character. Seriously, Mulan is awesome. 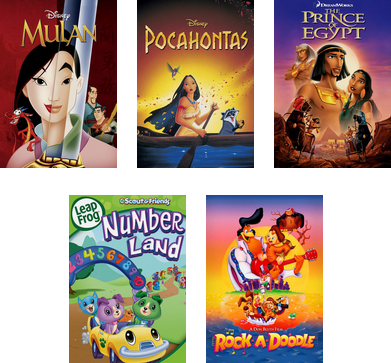 Check out some of these other kid-friendly musicals available on Netflix. What are some of your family's favorite musicals to watch? As moms, we tend to be on our feet a lot. In fact, the moments that we get to sit down and relax sometimes can be few and far between. 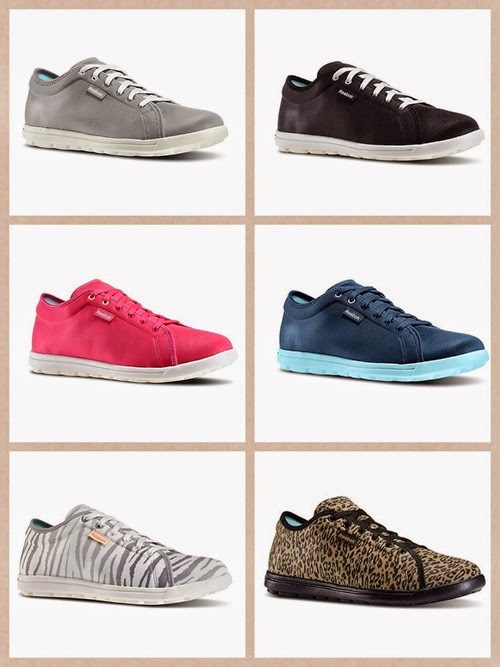 So it important for us to find everyday shoes that are comfortable for our busy feet. With summer vacation in the very near future, a comfy shoe to run around town with my 4 boys is a must have. So I was excited when I had a chance to purchase a pair of Reebok Skyscape sneakers at Kohl's. An everyday shoe for active and casual wear, Skyscape features 360 degrees of foam comfort in a fun, flirty silhouette that pairs perfectly with jeans, skirts or yoga pants and is so comfortable, you’ll forget you have it on. Upon first glance online, I thought these looked a lot like Keds, but once I saw them in person I knew they were nothing alike. I went to my local Kohl's store so I could see the colors and try these on because there are some items I just can't order online. Shoes, bras and bathing suits being the main three (thank you wide feet). While Kohls.com offers a variety of colors and patterns shown above, my store only had the Pink and the Black. 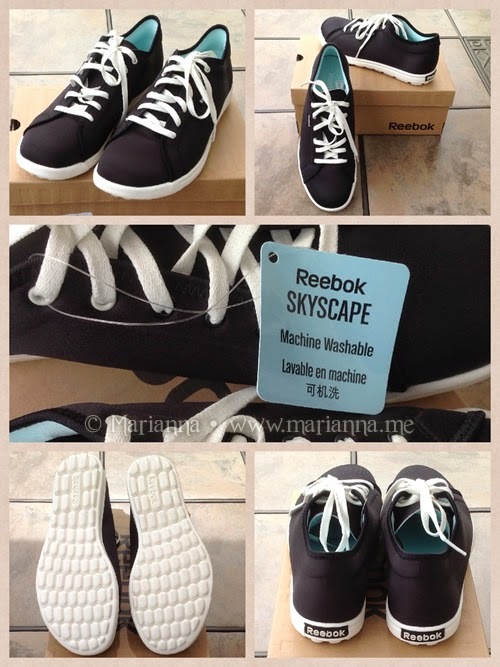 The Reebok Skyscape is made almost completely of foam which makes them so super soft and squishy. That soft foam allows the shoe to conform to the shape of your foot offering maximum comfort. And because of the seamless construction, there are no irritating seams rubbing up against your foot. This is ideal for the hot summer weather if you like to quickly throw shoes on without socks. I have had my pair of Skyscapes for a couple of weeks now and I have been very pleased with them. I mentioned above that I am cursed with wide feet. Unfortunately, this Reebok shoe is not available in wide widths (I do hope they change that) so if you have super wide feet, these probably won't work for you. When I tried on my usual 8 in the store, they were definitely a bit too tight. However, I was able to go up half a size to an 8.5 and that fit good for me. (Please note that going up a size might not work for everyone). Now I went with the Black because since we are talking about an everyday shoe, I wanted something that would go with pretty much every outfit. The Pink are super cute, but would only mesh with a small percentage of my wardrobe. So what have I been doing in my Skyscapes? Well I've been bringing the kids to the bus stop, going grocery shopping, walking the mall, spending countless hours at the baseball fields and then my favorite: hanging out on our deck. I can say that these shoes have been comfortable throughout it all. I am curious to see what happens when the super hot and humid weather hits. Will the foam make my feet sweaty? I'll just have to wait and see I guess. The Reebok Skyscape is also waterproof and machine washable and isn't that just music to your ears? I can't even begin to tell you how often things are spilled on me. And those baseball fields I mentioned? When they are dry, the clay dust gets on everything. When they are wet, the clay mud gets on everything. Knowing I can just toss these in the washer when I get home after a game is such a relief. 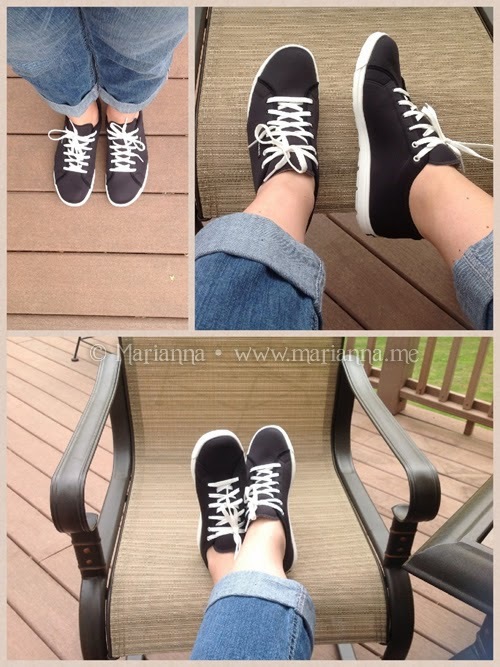 Relaxing in my black Reebok Skyscape shoes and Apt 9 Capri jeans, also from Kohl's. The Reebok Skyscape Shoes are available both in Kohl's stores and online at Kohls.com starting at $64.99. Color availability may vary. Before doing any Kohl's shopping, be sure to check their website for any printable coupons and if you plan on ordering online, do yourself a huge favor and go through Ebates. Ebates will list any available coupon codes plus shopping trough their link will earn you 3% cash back. 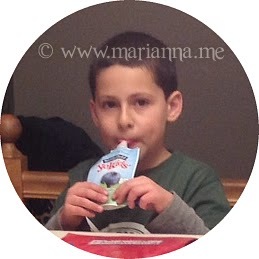 Stonyfield Yogurt products have been a staple in our house ever since our first son started eating dairy around 15 months old. It is important for me to know that the ingredients in the yogurt my kids eat are organic. Trying another yogurt brand has never ever crossed my mind and we have been a strictly Stonyfield house ever since that first taste. Over the years we have progressed through YoBaby to YoToddler and now YoKids for the three oldest ones, and they have loved them all. 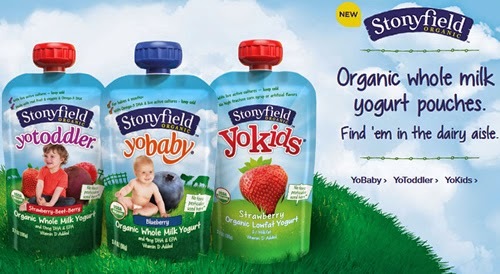 Recently, Stonyfield has launched a line of organic Yogurt pouches, which I think is pretty genius. This is the first refrigerated organic yogurt pouch available and they all contain pure organic ingredients and no high fructose corn syrup or artificial flavors. The first time we tried these pouches was on our recent trip to Walt Disney World in Florida. When we got down there, our first stop before the rental house was hitting a Super Target for food. My kids eat their Stonyfield yogurt every day so I needed some to put in our cooler to bring to the park. When I saw the YoKids yogurt pouches I was thrilled because that is so much easier than the cups and spoons. And the kids loved them - blueberry seems to be the favorite. Now that we are home, the pouches are great to bring to the baseball fields when we are stuck there for 4 hours or even for an evening snack when we get home after a game. I also recently tried some of the YoToddler pouches for my four year old. Now granted he isn't technically a toddler anymore, but the YoToddler line has veggies in them and so this is a great way for me to sneak some veggies into his diet. 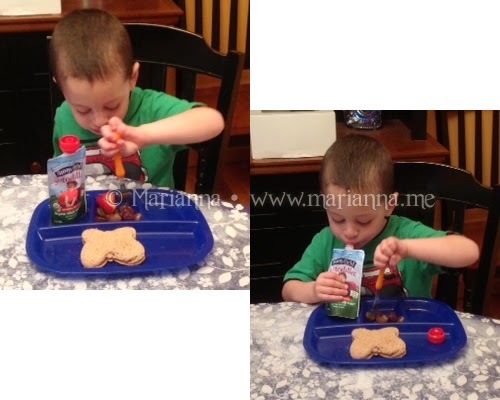 We tried the Strawberry Beet Raspberry pouch and he gobbled it up, finishing with a "that was yummy mommy!" Look, he won't even put it down while he stabs some fruit with his fork. So yeah, those are a big winner for me. With summer just around the corner, we are going to be spending 4 afternoons a week at the local lake. When I pack our cooler with lunches and snacks, I can guarantee that there will be some Stonyfield Yogurt Pouches in there. These are just perfect for a family on the go. Easy, yummy and healthy. My kids love the taste and I love that they are organic and free of any artificial junk and from a brand that I trust. Sometimes a mom needs to take a little time out for herself to unwind. Being a mom is a 24/7/365 job with no vacation or sick days and it can be exhausting at time. A few years ago my sister-in-law and I started a mom's night out and we would meet up at our local Starbucks every Friday night. But over time, lives got busier, schedules crazier and unfortunately we let our tradition slip away. So when I had the opportunity to bring a special mom to Starbucks to try the new Teavana Oprah Chai Tea, I knew I wanted to bring her. I miss her! 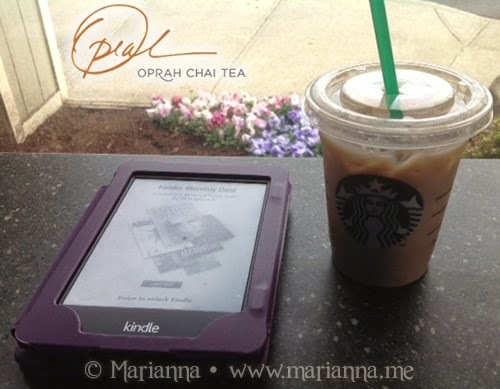 The Teavana Oprah Chai Tea is a new addition to the Starbucks menu and is a bold infusion of cinnamon, ginger, cardamom and cloves, blended with loose-leaf black tea and rooibos. It can be ordered as a hot tea or iced tea and you can also purchase loose leaf tea and accessories for you to brew at home. 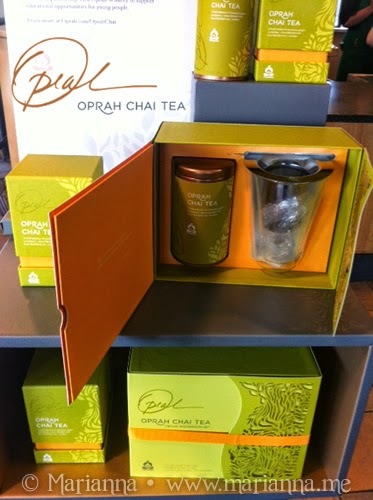 For each Teavana Oprah Chai Tea product sold, Starbucks will be making a donation to benefit educational opportunities for youth through the Oprah Winfrey Leadership Academy Foundation. Visit www.SteepYourSoul.com to learn more about the youth education organizations that will be supported through this partnership. 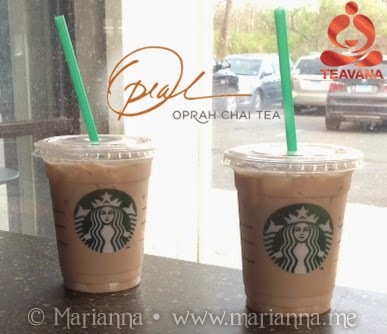 This Mother’s Day, Starbucks will be offering a special promotion of Buy One Get One Free Teavana Oprah Chai Tea beverage. So as you are driving over to mom's or grandma's this weekend, you can stop on the way and pick up both a tea for yourself and for her. So this past Tuesday, after we put our children on their respective buses (we have seven kids between the two of us! ), we met at our Starbucks bright and early. Let me first say how much I love our local Starbucks. It is always clean and the staff are always polite plus they redecorated last year so its just a fun and comfy place to relax for a little bit. Now tea is something I normally brew at home and usually I get a latte when I visit Starbucks. 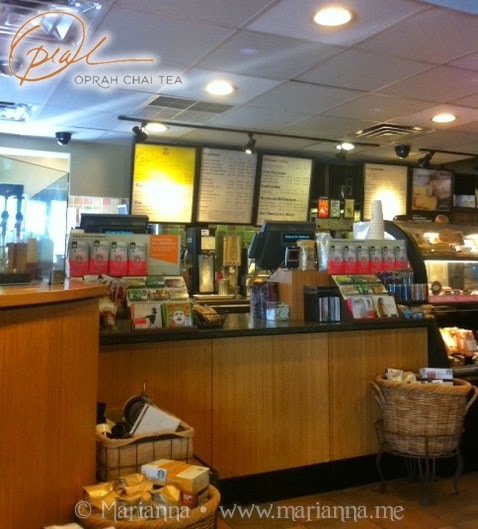 So I was relieved to see the large, yellow Oprah Chai Tea sign up on the menu board making it easy for me to order. We both decided to go with iced versions. Now I have to be honest, I have never tried a Chai tea before. So while I knew the various spices that were in this tea beverage, I just hadn't expected how strong the flavor would be. It was definitely different and took me a few sips to get used to. While I didn't dislike it, I think it might be more of an acquired taste. I will say it was very refreshing and those spices give it a bit of a kick. Now that we were back together again at our favorite spot in town, it was time for catching up. And what do we catch up on? Why all the wonderful books we have read lately. It was great just sitting there and having a fun conversation while not having to worry about anyone else for just a little while. We both missed this downtime so much and out little morning date has reminded us how much we loved doing this regularly. So watch out Starbucks, these two loud and obnoxious woman plan on being regulars once again! P.S. We did attempt to take a selfie of us together for me to use in this post. However, it was 8:30 in the morning and we had just spent the past hour getting our kids ready for school and putting them on the bus. So that picture wasn't very pretty. At all.